It is absolutely established that a valid unpatented placer mining claim is in fact a Statutory Federal Grant of “private property” derived from 30 U.S.C. § 21-54. All unpatented placer mining claims situated in California are on federally owned lands, under jurisdiction of the USFS, or BLM. Otherwise none would exist, as federal land is the only place an unpatented mining claim can be initiated, and held. As long as the Federal government retains title, the federal interest in providing free access to its own land in order to promote mining is sufficient to preempt any state law that fundamentally bans such use. Thus under standard preemption analysis any state legislation, or regulation that conflicts with this overriding federal purpose, must fail. A conflict exists if a party cannot comply with both state law and federal law. In addition, even in the absence of a direct conflict between state and federal law, a conflict exists if the state law is an obstacle to the accomplishment and execution of the full purposes and objectives of Congress. Crosby v. Nat’l Foreign Trade Council, 530 U.S. 363, 372-73 (2000). In determining whether a state law is a sufficient obstacle, the courts examine the federal statute as a whole and identify its purpose and intended effects and then determine the impact of the challenged law on congressional intent. State law can be pre-empted in either of two general ways. If Congress evidences an intent to occupy a given field, any state law falling within that field is pre-empted. An 1998 8th Circuit Court of Appeals case revolving around near identical prohibitions on unpatented mining claims, wherein holders brought suit claiming that federal mining laws preempted ordinance prohibiting issuance of any new or amended permits for surface metal mining within area which included federal lands. Private landowner intervened to defend the ordinance. The United States District Court for the District of South Dakota, Richard H. Battey, Chief Judge, 977 F.Supp. 1396, granted summary judgment for plaintiffs and enjoined the ordinance. Intervener appealed. The only locatable mineral on the majority of unpatented placer claims held under federal law is placer gold. Which is naturally concentrated in stream or river bed gravels, and usualy no where else in worthwhile amounts. The only economically viable means to profitably recover placer gold in stream or river gravel is by “suction dredging”. Accordingly, suction dredging is the “Highest & Best Use” of placer mining claims. As a matter of fact, it is only viable use, as no other mining method is practical, economical, or profitable. When the only viable use of an unpatented placer mining claim is by suction dredging, arbitrarily prohibiting that use (even temporarily) effects a complete “taking” of all economic benefit the owner could derive from it, for the duration of the ban. The Fifth Amendment to the United States Constitution, made applicable to state and local governments by the Fourteenth Amendment, prohibits the government from taking private property for public use without just compensation. It is well established that just compensation… is the full value of the property taken at the time of the taking, plus interest from the date of taking. United States v. Blankinship, 9 Cir., 1976, 543 F.2d 1272, 1275. Without doubt, S.B. 670 capriciously deprives thousands of families of their legitimate livelihood, and caused an immediate gross compensatory “taking” of valid existing rights, and compensable private property interests of considerable magnitude. Neither the USFS, or BLM will enforce this state law, given that that federal statutes, and regulations preempt this suction dredging ban on unpatented placer mining claims situated on federal lands under their control in California. That clearly should give public notice the federal courts will most certainly, and quickly take the same position the USFS/BLM has. The Treasury of the State of California will ultimately be held liable to pay compensable damages to all those effected, accruing from August 6th 2009 forward. Until at least the illegal ban on suction dredging unpatented placer mining claims is lifted, or if necessary overturned by appropriate federal court action. Plainly, Senator Wiggins who introduced this Bill, all the legislature that voted for it, and even the Governor failed to have S.B. 670 analyzed for critical federal preemption flaws, or significant “takings” liabilities it would create. It would seen astute on the part of the California legislature to limit state financial liabilities here by swiftly correcting this law, to effect only a suction dredging ban on fee simple lands in California, which federal law may not preempt. If not corrected quickly, state coffers will needlessly expend precious funds in paying attorney fees, and costs attempting to delay the inevitable overruling of S.B. 670 illegal provisions in federal court. Involved compensatory damages could well approach $20,000,000 annually. If ignored, those applicable damages will certainly compound over time with interest, costs and attorney fees applied. California politicians should ponder that the 3,200 other current California suction dredge permit holders, and approximately 21,000 other similarly situated owners of unpatented placer mining claims on federal lands in California will justifiably require compensation for their loss’s S.B 670 directly caused them. Once all affected are joined in a class action, which will most certainly prevail. Who do these politicians think will be billed for that compensation? "Under the mining laws a person has a statutory right, consistent with Departmental regulations, to go upon the open (unappropriated and unreserved) Federal lands for the purpose of mineral prospecting, exploration, development, extraction and other uses reasonably incident thereto." (See 30 U.S.C. § 21-54, 43 C.F.R. § 3809.3-3, 0-6). Federal mining claims are "private property" Freese v. United States, 639 F.2d 754, 757, 226 Ct.Cl. 252 cert. denied, 454 U.S. 827, 102 S.Ct. 119, 70 L.Ed.2d 103 (1981); Oil Shale Corp. v. Morton, 370 F.Supp. 108, 124 (D.Colo. 1973). This possessory interest entitles the claimant to "the right to extract all minerals from the claim without paying royalties to the United States." Swanson v. Babbitt, 3 F.3d 1348, 1350 (9th Cir. 19930). 16 U.S.C. § 481, Use of Waters: All waters within boundaries of national forests may be used for domestic, mining, milling, or irrigation purposes under the laws of the state wherein such national forests are situated or under the laws of the United States and the rules and regulations established thereunder. "Uncompensated divestment" of a valid unpatented mining claim would violate the Constitution. Freese v. United States, 639 F.2d 754, 757, 226 Ct.Cl. 252, cert. denied, 454 U.S. 827, 102 S.Ct. 119, 70 L.Ed. 2d 103 (1981). Even though title to the fee estate remains in the United States, these unpatented mining claims are themselves property protected by the Fifth Amendment against uncompensated takings. See Best v. Humboldt Placer Mining Co., 371 U.S. 334 (1963); cf. Forbes v. Gracey, 94 U.S. 762, 766 (1876); U.S.C.A.Const. Amend. 5; North American Transportation & Trading Co. v. U.S., 1918, 53 Ct.Cl. 424, affirmed 40 S.Ct. 518, 253 U.S. 330; United States v. Locke, 471 U.S. 84, 107, 105 S.Ct. 1785, 1799, 85 L.Ed. 2d 64 (1985); Freese v. United States, 639 F.2d 754, 757, 226 Ct.Cl. 252, cert. denied, 454 U.S. 827, 102 S.Ct. 119, 70 L.Ed. 2d 103 (1981); Rybachek v. United States, 23 Cl.Ct. 222 (1991). Such an interest may be asserted against the United States as well as against third parties (see Best v. Humboldt Placer Mining Co., 371 U.S. 334, 336 (1963); Gwillim v. Donnellan, 115 U.S. 45, 50 (1885)) and may not be taken from the claimant by the United States without due compensation. See United States v. North American Transportation & Trading Co., 253 U.S. 330 (1920); cf. Best v. Humboldt Placer Mining Co.
For further information on federal preemption law, the internet link below gives a basic explanation. Now this is very interesting even though wikipedia can be misleading, I need to look into this further. Thanks 'old gold miner' welcome to the forum! Hey Old Gold Miner -- where you been? No one in Disneyland North has thought through the logic of SB 670. How can F&G complete a study of something that now can't happen? As for Wiggins not having thought this through, now she's actually gone and wigged out -- literally. This doddering, knee jerk political hack recently announced that she will not seek reelection. Her handlers are having a fit trying to figure out who they next can manipulate into introducing even worse legislation. Harsh words, but rationality is a rare commodity in Sacramento these days. A claim holder would first have to establish what the take would have been during that time and with relation to the current market value during that time, estimate the loss of earnings, plus interest. Is that right? This is regardless of the outcome of the findings. Is that also correct? I guess I am also wondering if time spent on an individuals claim would determine how much product (gold) would be found as in a weekend venture or a daily venture. How could that be established? Also, if the amount of product found, is determined by the amount of time spent on a given claim, would it not be detrimental to the individual claim holder to join a "class action lawsuit", as the original RSS feed of this post hints too? And there are detractors of the Constitution that dispute or totally ignore our rights under the Constitution. One of our main problems right now, is that the citizens of the United States, do not have a Thomas Jefferson or James Madison as their champion. We have citizens that stand up for their rights and are called "astroturf" or "Nazi's". We as a nation, need a Champion that will take us down a path that is neither left or right. A path that is centered in what is good for everyone. According to the U. S. Forest Service, SNF, "There are 1,092,302 acres on the Siskiyou National Forest. Using a factor of 0.33 cubic yards per acre per year times 1,092,302 acres will produce a very conservative estimate that 331,000 cubic yards of material move each year from natural causes compared to the 2413 cubic yards that was moved by suction dredge mining operations in 1995. This would be a movement rate by suction dredge mining that equals about 0.7% of natural rates." (Cooley 1995). 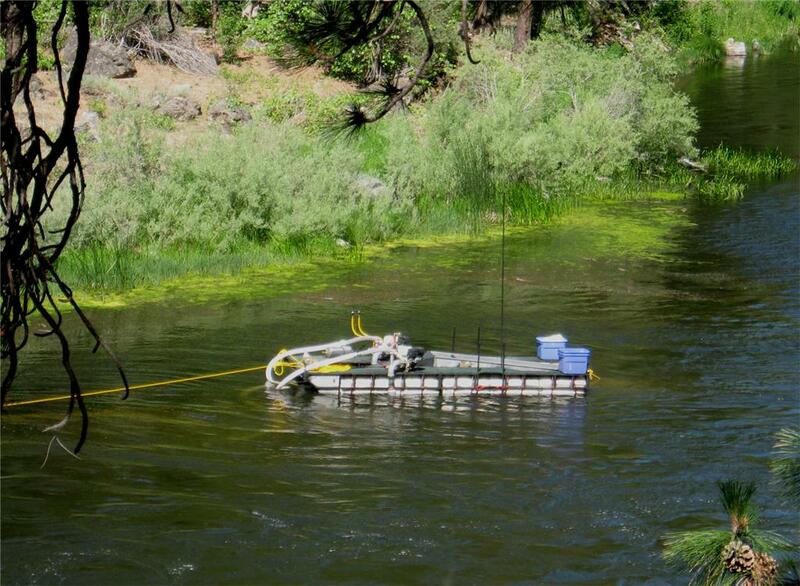 During a later survey on the Klamath River during 2002 only one redd was observed on suction dredge tailings. Recreational suction dredge mining was present throughout the survey from the Highway I-5 Bridge to Happy Camp (Schuyler and Magneson. 2006). Another Benefit the suction dredge community could provide the state with is mercury remediation. In talking with miners, the majority typically do not run into large pools or hot spots of mercury. However, their concerns for the environment is the same as other citizens. Miners have shown the willingness to hand over collected mercury to a collection facility if such a facility exists. The California State Water Board’s Water Quality Division report (Humphreys, 2005) suggested the idea of paying the miner’s for their efforts would help facilitate this plan. Collection facilities have been provided in the past with great response. The California Water Board has spent a lot of time and money on mercury remediation projects with limited success, though in 2001 EPA Region 9 located in San Francisco, California did collect mercury from miners very effectively. Collections of mercury has been happening in Oregon and Washington through the states respective Division’s of Ecology and with even greater success at miner’s rallies. Mercury is continuously moved every winter in high storm events. Since the cessation of hydraulic mining, accumulated sediment from hydraulic placer mining has been transported to the Sacramento–San Joaquin Delta and San Francisco Bay by sustained remobilization (James, 1991). Providing a program to collect mercury from miners would aid the Water Board’s mission of reducing mercury contamination in the deltas and bays where mercury methylation is a large concern. Environment News Service (ENS). 2007. Miners Remove Gold Rush Mercury from Washington Streams. James, A.L., 1991, Incision and morphologic evolution of an alluvial channel recovering from hydraulic mining sediment: Geological Society of America Bulletin, v. 103, p. 723–736. RE: Compensable “taking” possibly in excess of $20,000,000 annually caused by S.B. 670 for which the State will be liable if the law is not corrected without delay. I, and my extended family own unpatented placer gold mining claims situated on federal lands within the State of California. Combined, we have an investment in these placer mining properties, suction dredges, and associated support equipment in excess of $100,000. In these trying economic times, several family members became unemployed from their normal occupations. To survive though this stark recession, several turned to suction dredging full time. From which they derive enough income to support their families, without drawing unemployment, welfare or food stamps from the state. I was stupefied to find the Governor signed S.B. 670 into law August 6th 2009. Which arbitrarily halts all placer gold suction dredging on unpatented placer mining claims throughout the State of California for an indefinite unspecified period of time. (then continues on as first posted at the beginning of this thread). If you mean the 2nd letter, just above your post? You can thank Pat Keene for making it available. Below is another letter Claudia authored. The impetus to “suction dredge” is spurred on by the per ounce price of gold. Today’s gold prices are at historical highs. Given the profound economic recession, exceptionally high unemployment, near $1000 per once price of gold today, suction dredging has increased dramatically as a primary livelihood for many. As most ordinary men can purchase, and operate one. Reality is, there is no such thing as “recreational mining”, when individuals owning unpatented placer mining claims make a sustainable livelihood from it. Obviously, since the gold rush days, every nook & cranny of dry ground in California has been scoured for placer gold, and most mined out. Because, that was the easiest gold bearing gravel to mine, with the technology available back then. Things changed around 1960 onward, when affordable efficient light weight portable gas powered suction dredges that 1 or 2 men could operate came into play. Which did not exist prior to that. Meaning that with few exceptions, suction dredging is the only viable means to recover placer gold the previous generations of California gold miners did not, or could not recover. Which should establish that placer mining via “suction dredging” to recover gold is the primary economic expectation all placer mining claim owners have, and to extinguish that fundamental attribute of ownership effects a “taking“ of all the valid existing rights they hold. As , they hold nothing else, except the right to mine an unpatented placer claim. The author of SB 670 insists the bill doesn’t “take” enough to be a “compensable taking. Senator Wiggins is both impractical, and wrong. Most placer claims in California cannot be economicaly mined by any other means than suction dredging. As doing so, if by the slim chance they have suitable reserves amenable to larger scale operations requires heavy earth moving equipment, wash plants, settling ponds, very substantial investment, extensive lengthy permitting, and reclamation bonds. All of which is most often far beyond the means of ordinary people, who can afford to suction dredge. I would wager, amongst other things, as the true effect of the federal governments massive existing deficit & continued run-a-way deficit spending hits home against the US dollar. We may see $2000 per ounce gold in the not far distant future. There are times when I will admit I'm a "recreational miner". I'm heading down to Crow Creek tomorrow and am going to pay them $20 to screw around for the day and find a little gold. If I only find $10 in gold I won't care. I'm just going to go for the fun of it. But when I get a mining claim the game changes. Anyone who owns a claim is by definition in the mining business, plain and simple. Now I'm in Alaska, thank God. But if I owned a claim in California for the express purpose of dredging I'd be suing so fast it would make head's spin. Sure, you can always find some "expert" who claims dredging is a problem. But the are plenty of studies that all have come to the same conclusion - that dredging impacts are localized and of short duration. My favorite is the EPA study at http://www.akmining.com/mine/1999epa.htm Now, we are talking the federal Environmental Protection Agency, not known for being a pro-mining organization. So if I have a federal claim in California and an EPA study that says what I'm doing is OK and some state legislature tries to prevent me from mining my claims I'm suing, end of story. If they want to do a study, then the study should have to be done first, and serious evidence presented first that showed there was a problem before banning anything. More to the point, not every bit of water in the state supports a salmon population. How do they justify banning dredging on all streams? Somebody with a federal claim on a stream with little or no fish in it should go after these clowns asap. As I Have stated numerous times, this has nothing at all to do with the science behind dredging and fish populations. It is about the politics of Indians in California. Now that they have the State in their back pockets via gaming, they will surely win any issue in this state. Environmental zealots claim that small scale suction dredging to recover placer gold is harmful to, and kills indigenous fish. Fact: Numerous unbiased scientific studies on the subject clearly show the effects of small scale suction dredging has a “de minimis” impact, meaning no discernable, or extremely minimal effect on fisheries. Fact: Prior to the passage of SB 670 (which illegally bans all suction dredging state wide) suction dredging throughout California was strictly prohibited in waterways during fish spawning seasons, to further minimize any possible negative impact. Environmental zealots who sponsored SB 670 used biased propaganda (rather than sound scientific evidence) to gain support for SB 670 from California sports fisherman. Who threw consider political weight behind SB 670. California politicians appear to believe that its perfectly proper for approximately 3 million California fishermen to kill fish as a leisure sport. Assuming each fishermen catches a few, the fish kill in California waterways directly attributable to sports fishing alone amounts to many millions annually. Numerous credible unbiased scientific studies of the effects of small scale suction dredge gold mining have been performed by various state & federal agencies in the last three decades, throughout Alaska & the western United States. Rather than Ban suction dredging in California for an indeterminate amount of time, to perform an independent environmental study report, at great cost. If the California DF&G were competent? They could easily, and quickly compile those credible reports from all applicable state & federal agencies. Then draw fair unbiased scientific conclusions from them. Which, without doubt would show suction dredging has a “de minimis” impact, legally meaning no discernable, or extremely minimal effect on fisheries. To perform an independent lengthy environmental study, at considerable taxpayer expense. When numerous credible studies of the same subject already exist. Is a clear unequivocal illogical WASTE of taxpayers funds. Moreover, the ban on suction dredging SB 670 implements will without doubt, be rapidly be overturned in Federal court. Because such law is plainly preempted by statutory federal law. Again, in attempting to defend illogical, and illegal state actions, politicians of California will most certainly compound their errors, and waste more taxpayer dollars. Wow, now your talkin. Great job thanks for the post. El is right though, although the reasons they give may be enviromental.......its politics pure and simple. Sieze and control. Its the California way. I agree with El, and politicians are easy enough to buy. But once you go to court you have to prove your case, and old gold miner is spot on. If the EPA says dredging is OK then a judge is going to have a hard time saying otherwise. If one does, he or she is likely to be overruled on appeal. In most cases the rulings must be based on good science. But it is never a given. Our system is ok but like everything human it is flawed. Good thing the court in Alameda county is not the highest court in the land. It is not over yet. I would think it would be prudent for every unpatented placer claim owner in California, and associated partner, miner or family member who doesn’t have an existing permit, to immediately send a letter to CA DF&G for a suction dredge permit application. Doing so, cost you nothing, other than the minimal time & postage involved. CA DF&G will reply, with a short letter explaining why they cannot send you an application, nor issue you a permit. With that CA DF&G suction dredge permit application denial letter addressed to you in hand. You should gain standing in any future class action law suit to recover compensable damages from the state, once the SB 670 suction dredge ban is ruled impermissible, as being preempted by federal law, etc. Without such a CA DF&G application denial letter you may not have standing in the eventual suit for damages. Almost all suction dredging for gold in California takes place on unpatented placer mining claims initiated under the general mining laws of the United States. In law, the word "claim" in connection with the phrase "mining claim" perfected with a valid mineral discovery, represents a federally recognized right in real property. The Supreme Court has established that a mining "claim" is not a claim in the ordinary sense of the word a mere assertion of a right, but rather, is a property interest, which is itself real property in every sense, and not merely an assertion of a right to a property. Once established, a valid unpatented placer mining claim gives the owner the right (not a mere privilege) to extract the valuable mineral therein, because plainly the valuable mineral there clearly belongs to him, as the owner. Certainly, that right is subject to reasonable regulation by applicable state law. But, not “unreasonable” state regulation that would abrogate everything the owner owns. To initiate a valid unpatented placer mining claim is not a quick, easy or inexpensive task. It requires considerable investment in research, time, travel expense, labor, exploration, staking & cost about $200 in initial county & BLM filing fees. That all under the prerequisite that the person can find federal land that contains valuable mineral, is not withdrawn from mineral entry, and is not covered by any prior placer claim. All in all, valid placer claims are a rare, and valuable. Simply because good ones to stake & file are very difficult to find. If a person cannot find one to stake & file themselves, they often buy one. The purchase price ranging from a few thousand dollars, to tens of thousands of dollars, sometimes even more. Once a person owns a valid placer claim, it is subject to state property tax, and annual BLM title maintenance fees usually amounting to around $225 a year. All this is based on reasonable investment based expectations, that the owner will recover his cost, and expenses by extracting valuable mineral, usually placer gold from his mining claim. The majority of placer gold found in this era is usually concentrated in active stream, or river bed alluvial gravels, most often on or near bedrock. Simply because almost all dry bench or higher elevation gravels from ancient stream or river gravels were mined out long ago. The most efficient economical means to recover placer gold in worthwhile amounts is plainly by suction type dredging. Access points to isolated dredging sites often require 4 wheel drive vehicles to get to. Which is usually not a normal family type vehicle used every day. Given the brushed in old unmaintained roads, and rugged terrain these vehicles usually have to traverse to get to worthwhile suction dredging sites could, or would damage a normal street vehicle, not strictly dedicated to mining purposes. Total investment by California suction dredge miners, to placer mine can range from a few thousand dollars, to near $100,000 each. Dependent on the cost of the mining claim, and equipment required to effectively & profitably mine it. By no means can an investment of that magnitude be considered recreational. The incentive to find, initiate or purchase a mining claim to suction dredge is to recover placer gold in profitable amounts. The same "for profit" motive as any business has. Those who do, also enjoy the outdoor setting, labor and comradely involved. It’s hard work that sometimes pays little, or with perseverance & dedication, can pay a lot. Teaching my children, and now my grandchildren to prospect, and pan for gold, is one of the great pleasures of my life. Unearthing placer gold that has been buried for millions of years, your eyes the first to see it, your hands to touch it, is a wonder by itself. It takes a certain type of man, to appreciate such rare things. Thank God, men of that quality & caliber still exist. The bottom line here is this. 1. Own exclusive mining rights to mine their own property. 2. The law allows those same owners the right to use the most efficient means to do that. 3. Suction dredging is most often the means of choice, as being the most practical. 4. Suction dredging has the most negligible effect on the environment. 5. A total ban on suction dredging for any indefinite period is not lawful. 6. CA DF&G is already in contempt to court, for not completing the EIS study. 7. Once a challenge is filed in federal court, the ban will be overturned. 8. The state of California almost certainly will be held liable for compensatory damages. Does this look RECREATIONAL to you? PLEASE DO WHATEVER YOU CAN TO SUPPORT THAT COURT CHALLENGE. LOL, I told me so, the other day. Suction-dredge placer miners extract gold from the river gravels by sucking the gold- bearing gravels through a nozzle (typically 6 to 8 inches in diameter) into floating dredges, pumping the gravel and water mixture across a settling table where the gold concentrates by gravity, and then discharging the gravel and water back into the river. Both the pump and the sluice box are usually mounted on a floating platform, often positioned over the work area by ropes or cables secured to trees or rocks. The portion of stream bottom dredged ranges from a few small excavations to the entire wetted area in a section of the stream. Larger suction dredges have the capacity to process as much as several cubic yards of gravel from the river bottom at one time. An annual permit from the Department (Title 14 California Code of Regulations [CCR], §228) and, in some circumstances, a Lake and Streambed Alteration Agreement (FGC §1600) is required to engage in this activity. Dredging activities in freshwater environments can have a variety of direct impacts on the environment, including impacts on aquatic and riparian organisms (Griffith and Andrews 1981;Thomas 1985; Harvey 1986) and channel stability. Impacts can also result from the potential release of hazardous materials such as mercury into aquatic and terrestrial environments. However, there are no studies that document such dredging-related impacts on coho salmon or their habitat within the range of coho salmon. The restrictions currently imposed by regulations on this activity are designed to eliminate the potential for impacts to coho salmon by restricting suction dredging actions to locations and times when such activities should not impact the species. DF&G 2004 report above is WRONG, in that 6 to 8 inch suction dredges are NOT typical. Typical for placer gold mining is 3, 4 or 5 inch suction dredges. It is also WRONG, in that there are numerous studies available. Take note: Existing studies show suction dredging has a negligible impact, so small there is no mention of suction dredging in the study above. Listed below is a number of quotes from studies that have been done over the years, please keep in mind that some were done on large 50 + cubic yard per hour placer mining operations, others were done on a variety of suction dredges, and some were done in a laboratory environment. All were done by well respected and educated people only a few of which have had any practical experience with placer mining/prospecting. The quotes listed in this document were taken word for word out of the documents written by the scholars named above each quote. "Several federal and state laws charge various governmental agencies to provide for the protection of these habitats. Our nation's technology based society has an ever increasing need for mineral resources, gold included. An ever growing number of people enjoy Recreational Gold Dredging as a hobby. Suction dredge operators working valid federal mining claims have a constitutional right under the 1872 mining laws to recover the valuable minerals present in the substrate. Private property owners and holders of state minerals leases also have rights to recover gold and other minerals present in streams and rivers. How can the country's need for natural resources, the individual's right or desire to mine, and need to protect the environment all be realized and satisfied?" "While adult fish did not show a sensitivity to entrainment it is unlikely that they would be sucked into a dredge in the first place. They have the ability to avoid entrainment in a suction dredge by moving to a safer location. All of the investigators who examined the impacts of suction dredges on adult fish concluded that this life stage was not acutely affected (Harvey 1986, Hassler et al. 1986, Summer and Hassler 1992). Harvey (1986) found this to be the case for rainbow trout on streams he studied in California." "most significant is a possible relation of fine silt to the food of young fish. It has been shown that the presence of finely divided suspensoids of natural origin may be of advantage to the microbiota which constitutes the foundation element in the food supply of water. Studies on aquatic biology conducted by the Wisconsin Survey demonstrated that colloidal organic particles collect on carbon and sand grains to build a culture medium for aquatic bacteria". "During diving surveys, we observed Salmon gairdneri congregating and selectively feeding on benthic invertebrates displaced by dredging." "Suction dredge mining at levels observed in Canyon Creek probably did not impact steelhead feeding. The mining did not significantly reduce the abundance of aquatic invertebrates (only species composition locally) and steelhead fed opportunistically. In fact , juvenile steelhead were observed feeding on invertebrates that had been entrained in and dislodged by dredge. Thomas (1985) observed cutthroat trout feeding on dislodged invertebrates in the dredge outfall. "However, weight of juvenile steelhead from Canyon Creek was greater than weight from other areas and production (kg/ha) was as good or better than in other areas (table 41)." "Ecological differences between Canyon Creek and BEF were also important in determining colonization of samplers. Overall, the impacts of suction dredge mining to benthic invertebrates at the study site were minimal." "Benthos survival is noted in Table 2. Insects with internal extrusions were listed as mortalities. The morality figure of 7.4 percent may be extreme because of confinement in the sack. Many caddis larvae were still attached to rocks after passing through the dredge. All insects except those with extrusions appeared lively and unharmed." "To determine stream distance necessary for insects to settle back to the bottom, a net was placed 15 feet and 25 feet downstream from the outflow. After five minutes at the former distance, Trichoptera, Coleoptera and Diptera were prevalent in the net. Only one Plecoptera was noted. At 25 feet downstream only few insects were caught in the net after five minutes. Underwater inspection with a faceplate indicated that all insects settled within 40 feet. The approximate flow throughout this distance varied from 1 ft./sec. down to 0.5 ft./sec." "If recolonization is slow the cumulative impacts of suction dredge mining could be significant over a period of seasons. However, in all of the studies on suction dredges that investigated this question the disturbed stream reach was relatively short (on the order of a few tens of meters) and recolonization proved to be rapid. Griffith and Andrews (1981) found that the dredged site was "substantially recolonized" after 38 days. The abundance within orders of invertebrates were the same before and after dredging and "key" taxa were also the same. Harvey (1986) found that recolonization was complete in terms of numbers of insects within 45 days of dredging. Thomas (1985) sampled the site 30 days after dredging and found, again, that colonization was "substantially complete" for most groups. The number of invertebrates colonizing the artificial substrates used by Somer and Hassler (1992) did not increase after the first sampling at two weeks. None of these investigators sampled their study site earlier than the reported time of recolonization. Recolonization may have occurred sooner than the time reported." "The results from Resurrection Creek indicated that there was no difference in the macroinvertebrate community between the mining area and the locations downstream of the mining area in terms of macroinvertebrate density and taxa richness. The sampling was done 35 days after mining had been completed for the season and shows a rapid recovery of the mined areas." "The autumn, winter and spring peak flows of WY 1985 Canyon Creek were adequate to disperse dredge tailing piles and fill in dredge holes. Less than 9% of the holes and tailings from 1984 mining were visible at the start of the 1985 dredge season. Only two sites from 1984 had clear remnants of holes and tailings in 1985. Both of these were far from the stream's thalweg. At a few sites large cobbles and boulders piled along the shore remained visible one year later. Thomas (1985) reported that piles of cobbles remained along the shore one year later at Gold Creek, Montana, but holes and instream tailings had vanished. Harvey et al. (1982) found virtually no evidence of dredge mining the following year in the American River, California. Most streams with mobile beds and good annual flushing flows should be able to remove the instream pocket and pile creations of small suction dredges, although regulated streams with controlled flows may not." "All of these tests show .That the amount of colloidal material in the water of the Rouge River and its tributaries below the point at which the run-off of placer mine workings has been added to the stream is to small to produce on the bottom a "blanket" which might affect adversely young fish eggs in the nests if present, or the fish food in the water." "Even below the points at which tributaries entered from areas in which placer mining had gone on at earlier months in the year, no change from normal conditions were observed. The pools sheltered migrating fish; they were also seen in the stream below the dams, and a normal supply of fish food was found at various points visited." These studies were done on commercial placer mining! "The supplementary report of Mr. A. M. Swartley, who aided me in the part of the survey made in September, 1937, is of value in giving the views of a careful and experienced geologist. He confirmed fully statements I had reached in my preliminary report as to the physical conditions found in the Rogue River drainage, and especially the small amount of clay and other material on shores and stream bottoms, in backwaters and otherwise in our examination of the river and its tributaries. He discussed fully the methods of rock disintegration and the transportation and ultimate character of the materials produced. He emphasized the fact that mining debris "is chemically inert, makes no oxygen demand on the stream and therefore takes away from the flowing water nothing which the fish require. This is equally true of this material whether placed in transit by nature or by man since (the products) are alike in nature, come from the same sources and are only being accelerated by man in their journey to the sea." Further he stated:" All these materials entering the streams, whether by natural or human activity, whether coarse or fine, whether traveling on the bottom, in suspension or solution ,are almost altogether inert, suffer little change on their way to the sea, and having reached the end point of chemical change do not rob the water of oxygen which the fish demand, or add to the water toxic agents injurious to fish (fish food or other forms of life)." "I have seen among these Alaska rivers in which salmon run and spawn some so heavily loaded with mud that one could not trace the body of an adult salmon ascending the river even when the dorsal fin cut the surface of the water. Yet the fish examined on the spawning grounds just before and just after death showed that the gills had suffered no injuries on the way though the body had met with conspicuous external damage through violent contact with sharp rocks at rapids or falls or along the shore. The examination was made in connection with the study on the cause of death after spawning and all organs were closely inspected. The gills were reported as apparently in perfect condition. Although the object of the investigation was not to determine the effect on the gills of silt loaded waters, still, if any evident injury had been present, it would have been noted. The journey up the Copper and its tributary was long and strenuous; the chance for damage to the salmon from muddy water was certainly large if any damage could be wrought by such conditions, and yet none was observed. Many other similar cases could be cited from printed as well as published records." "Despite their far greater sensitiveness to changes in environment and susceptibility to injury, the young salmon lived heartily in a concentration of sediment which was at its minimum (760 ppm) twice as much as the maximum recorded at Agness (see Table II ). Indeed the average amount of turbidity in Griffin's experiments was ten times the average recorded at Agness. Those who think that normal erosion products will prove injurious to such fish should examine carefully the records in these tables." "Normally the fish cover the eggs by a layer of sand or fine gravel; the fresh water carrying oxygen easily penetrates this cover and the young wriggle out after the eggs hatch. A thin, broken layer such as I have already described would not interfere with the permeation of fresh water with oxygen and the development of such eggs as might be present. But I am clear that this is not a true spawning area. As Mr. Joseph Wharton said in an admirable paper on the salmon of the Rogue River, "It is the ambition of all these species of anadromous fish to ascend the river to the highest point attainable before making their spawning beds, seeking the waters that are purest and coldest." This statement is absolutely correct; In difficult streams or when held behind man-made barriers, these fish struggle to the end to make their way upstream and will sacrifice life rather than accept spawning areas in the lower reaches of the river. The urge which drives them on is the basis for the safety of the race. For the straggler or the weakling who may find the achievement of headwaters impossible, an enforced spawning in the lower river is of no significance; the river level varies too widely and its current at full flood is too fierce. Eggs deposited at high water will be exposed and die when the water falls; or if the spawning occurs at a lower water level, the next flood waters will bury the eggs or sweep them away. The suddenness, the violence and the irregularity of the changes in water level of the Rogue are conspicuous in the records of every year." "Dredge tailings are often referred to as good salmonid spawning substrate. In the Trinity River, chinook salmon have been observed spawning in the tailing piles of suction dredges ( E. Miller pers. comm. ). Steelhead in Idaho streams have been reported to spawn in gravels recently disturbed by human activities ( Orcutt et al. 1968 ). In the American River , Prokopovich and Nitzberg ( 1982 ) have shown salmon spawning gravels have mostly originated from old placer mining operations." "Anadramous salmonids held and spawned in Canyon Creek in close proximity to suction dredge activity. During the 1984-1985 spawning season, fall-run chinook salmon, coho salmon and steelhead spawned in areas actively dredged during the 1984 dredge season (fig.). In August 1985, spring-run chinook salmon and summer-run steelhead were holding near areas where suction dredges were being operated (fig. 23). During the 1985 spawning season, fall and spring-run chinook salmon spawned in areas actively dredged during the 1985 dredge season (fig. 24)." "Suction dredge mining did not appear to influence the locations of adult anadramous salmonid summer-holding areas. One spring-run chinook salmon was observed 50 m below an operating dredge and a summer-run steelhead was seen at the upper end of a 30 m-long pool while a dredge was operating at the lower end. Seven other adult salmonids were observed within 250 m of an active dredge operation and none appeared to be disturbed by mining activities. During a 1980 diving survey by Freese (1980), an adult spring-run chinook salmon was observed holding at the bottom of an abandoned dredge hole in Canyon Creek and other adult salmonids were found in close proximity to active dredges. No relation between holding areas of spring/summer-run fish and suction dredge mining operations was apparent during this study or in 1980 (L. Freese pers. comm.)." "To be sure no one can think rightly of the stream itself as a constant environment. On the contrary it is undergoing continual change. The amount and location of winter's snowfall, the volume and time of seasonal rains, the duration and precise period of regional droughts, and other climatic variations produce variations in water level, in bank erosion, in growth of grasses, underbrush and trees in the drainage basin; thus sudden and often extreme changes in contours of the banks and surrounding country add sediments of different types to its waters and modify the conditions under which the fish it harbors are forced to live." Number one on the list of things that change the shape of the stream bed are DAMS!" "However during the suction dredge mining process, a new pool area is created by the cone shaped dredge hole. Dace, suckers and juvenile steelhead were observed feeding and resting in Canyon Creek dredge holes. Freese ( 1980 ) observed a small spring-run chinook salmon holding in a dredge-created pool on Canyon Creek". "The majority of suction dredge operators in canyon creek did not work long periods or disturb large areas of the streamed. Dredging impacts upon the channel geomorphology were confined to the area dredged and the area immediately down stream." "Winter and spring flushing flows filled in dredge holes and dispersed tailing piles." "Coho salmon and steelhead juveniles appeared to rear normally in the creek and were observed using dredge holes in the summer. Steelhead juveniles received the greatest exposure to dredging activity as they rear in Canyon Creek up to three years, but their feeding, growth and production did not seem to be impacted at the current level of dredge activity." "The effects of the two dredges on aquatic insects varied with taxa and were site specific. Dredging dislodged insects, and we observed young coho salmon and steelhead feeding on them. The stream underwent major but localized changes. Dredge hole were excavated to a depth of 2 m, and substrate was altered to bedrock and large cobbles-probably a poor habitat for colonization. However, the effects of dredging (at the operating level during the study) on insects and habitat were minor compared with those of bed-load movement due to large stream flows during storms and from snowmelt." "Lewis (1962) was the first to investigate the effects of the portable suction gold dredge on the aquatic habitat of fish and benthic invertebrates. He operated a 12.7 cm aperture dredge in Clear Creek, Shasta County, California and found that dredging could improve the intergravel environment for both fish eggs and benthos if the stream was mined in a uniform manner." "If dredge mining regulations were expounded upon and miners were made aware of the instream habitat needs of salmonids, the most serious impacts of suction dredge mining could be reduced. Suction dredgers may even be able to enhance certain areas of the channel for rearing and spawning fish, if some of the limiting factors of a reach of stream are identified (ie. cover, woody debris, low velocity refuges, clean gravels). In Canyon Creek, current CDFG suction dredge regulations eliminate conflicts with salmonid spawning, incubation, and fry emergence by restricting mining to summer months. The 15.24 cm maximum aperture size for dredges is appropriate since stream substrate is large, but larger apertures may be too disruptive in the small channel." "Table 1 lists stand pipe results. The site average indicates an improvement from dredging of 1 p.p.m. in DO and a threefold improvement in permeability and velocity. As indicated above, dredged sand settled within 12 feet of the sluice outflow. This occurrence tends to somewhat nullify removal of sediment, but dredged areas are definitely relieved of compaction. As a gross measure, the standpipe was much easier to drive in the dredged area. As evidenced by photographs the gravel appears much cleaner after dredging. Weighing all factors, dredging can improve the gravel environment for both fish eggs and aquatic insects, especially if the operator mined uniformly in one direction as opposed to a pocket and pile method." "The four studies that I reviewed from journals subject to peer review consistently found that when certain limitations are placed on suction dredge activity the impacts on the stream ecosystem are local and of short duration." "Fish and invertebrates displayed considerable adaptability to dredging, probably because the streams naturally have substantial seasonal and annual fluctuations (Moyle et al. 1982). These fluctuations, in the form of flushing winter flows, can greatly reduce the long term impact of dredging. Even during the relatively mild winter of 1980/81, high flows still filled the hole created by dredging on NFAR with a sand and gravel mixture and eliminated all sand from the main streamed. After the high flows in winter and spring of 1981/82, no substrate changes caused by dredging in the previous summer were evident on Butte Creek. Saunders and Smith (1965) observed a quick recovery in the trout population after scouring of a heavily silted stream, which, along with the quick temporal recovery of stream insects seen in this study, implies that suction dredging effects could be short-lived on streams where high seasonal flows occur." "and dredge mining had little, if any, impact on water temperature." "When the test ended on Dec. 30, it was found that a much larger proportion of the fish in the sediment -containing trough had survived (56%) than in the clear water trough (10%). There was no noticeable difference in the color of the surviving fish in the two troughs, and the fish which had lived in the muddy water were as large as the survivors from the clear-water trough." "The results of the experiments indicate that young trout and salmon are not directly injured by living for considerable periods of time in water which carries so much soil sediment that it is made extremely muddy and opaque. They also indicate that cutthroat trout and salmon fingerlings can feed and grow apparently well in very muddy water." "In contrast with all these the experiments of Dr. Griffin have shown that young fish live well up to 30 days in good water mixed with an amount of natural soil materials from two to three times as large as the extreme load of the materials contributed to the Rogue River by maximum conditions produced by placer mining." "All the evidence that has been obtained justifies the conclusion that no present-day contributions of materials produced by bank erosion differ in character or exceed in amount those added periodically by purely natural processes in past times. Splendid runs of salmon and steelhead were established and maintained under truly natural conditions which certainly were on occasion more extreme and violent before man ever came into the picture than they are today. Furthermore, there is good reason to believe that placer mining run-off was larger in amount and more continuous in the early years of that industry when for a time at least greater areas were followed than are employed today." This study was done to study the effects of large scale placer mining operations! Water quality was impacted only during the actual operation of a suction dredge. Since a full day of mining by most Canyon Creek operators included only 2 to 4 hours of dredge running time, water quality was impacted for a short time. "Turbidity plumes below suction dredges are often markedly visible due to extremely low ambient turbidity levels in mountain streams. The extent of the plume depends on the grain size and volume of the material passing through the dredge. Horizons of silt-laden substrate were disturbed at all dredge sites in Canyon Creek and created highly visible turbidity plumes. " "Although distinct to even the most casual observer, dredge plumes in Canyon Creek were probably of little direct consequence to fish and invertebrates. Suspended sediment concentrations of 20,000 to 100,000 mg/l which impact fish feeding and respiration (Cordone and Kelly 1961) greatly exceed the highest level of 274 mg/l measured in Canyon Creek. In general, dredge turbidity plumes were highly localized and occurred during midday which is not a peak feeding period for steelhead (Moyle 1976). Laboratory studies by Sigler et al. (1984) found that steelhead and coho salmon preferred to stay in channels with clear water, and turbidities as little as 25 NTU's caused a reduction in fish growth. In contrast to Sigler's results, young steelhead in Canyon Creek appeared to seek out dredge turbidity plumes to feed upon dislodged invertebrates even though clear flowing water was available nearby." "Most water quality studies of the effects of suction gold dredges on streams have focused on turbidity and suspended sediments. These studies have, with some exceptions, largely found that water quality is impacted for a distance downstream of the dredge ranging from a few meters to 30 meters." All of these studies, except one involved small dredges, 6 inches or less. The one study that involved a larger dredge reported only a small amount of data. Five water samples were taken 500 feet below a six inch dredge and one sample was taken 500 feet below an 11 inch dredge." "In the 1997 permit, EPA defined a small suction dredge as those with nozzles less than or equal to four inches. EPA is proposing to redefine the small suction dredge range as less than or equal to six inches. Information provided in EPA’s suction dredge study and the United States Geological Survey (USGS) study support the conclusion that there are local but short term effects on both water quality and macroinvertebrate communities in the mining areas. On the Fortymile River, dredges larger than those proposed under this GP showed that turbidity was reduced to background levels within 250 feet. It is expected that small dredges would have even less impact on the downstream receiving water quality." Badali, Paul J., 1988, Prepared Statement to Sate of Idaho, Department of Water Resources, Recreational Dredging Seminar on February 3, 1988. Harvey, Bret C., 1986, Effects of suction dredging on fish and invertebrates in two California streams. North American Journal of Fisheries Management 6:401-409. Hassler, Thomas J., Somer, William L., Stern, Gary R., 1986, Impacts of Suction Dredge Mining on Anadramous Fish, Invertebrates and Habitat in Canyon Creek, California. California Cooperative Fishery Research Unit, U.S. Fish and Wildlife Service, Humbolt State University, Cooperative Agreement No. 14-16-0009-1547, Work Order No. 2, Final Report. Huber, C. and D. Blanchet, 1992, Water quality cumulative effects of placer mining on the Chugach National Forest, Kenai Peninsula, 1988-1990. U.S. Forest Service, Chugach National Forest, Alaska Region. 74 pages. Lewis, Robert Pollution Bioanalyst III, 1962, Results of Gold Suction Dredge Investigation. Memorandum of September 17, 1962. California Department of Fish and Game. Sacramento, California, 7 pp. North, Phillip A., 1993, A Review of the Regulations and Literature Regarding the Environmental Impacts of Suction Gold Dredges. U.S. Environmental Protection Agency, Region 10, Alaska Operations Office. Somer, W. L., and Hassler, T. J., 1992, Effects of suction-dredge gold mining on benthic invertebrates in Northern California Stream. North American Journal of Fisheries Management 12:244-252. Stern, Gary R., 1988, Effects of suction dredge mining on anadramous salmonid habitat in Canyon Creek, Trinity County, California. M. S. Thesis, Humbolt State University, Arcata, California, 80 pp. U.S. Environmental Protection Agency, 2001, Fact Sheet NPDES Permit AKG-37-5000, U.S. Environmental Protection Agency, Region 10, Alaska Operations Office, 16 pp. The quotes listed in this document were taken word for word out of the documents written by the scholars named above each quote. This information was compiled with the intent to inform and educate, so the true facts can be a part of the process in the rule/regulation making pertaining to small scale placer mineral/metal mining and prospecting in our rivers and streams.